This is the non-rechargeable replacement battery for the LED Hula Hoop. It lasts 5-6 hours of continuous use. $10 – If this is the only item in your order I can refund the full ship price after you pay and only charge you $2 for First Class Mail postage. Convert your 1 inch thick LED hoop into a rechargeable hoop! Charger is small and compact just like your cell phone charger. It accepts 100-240VAC. Weighs only 5 oz. Easy to carry in your purse or travel bag. Only one simple wire to connect to your hoop. An easy to read indicator light tells when its charged. Charge at any time, no need to wait for the lights to die out. Connect at least 20 LEDs to this battery system. 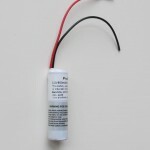 This battery will fit tightly into a tubing with inner diameter of 0.6in such as the 58017 sold at USplastics.com. SORRY THESE SMALL BATTERIES ARE OUT OF STOCK!! 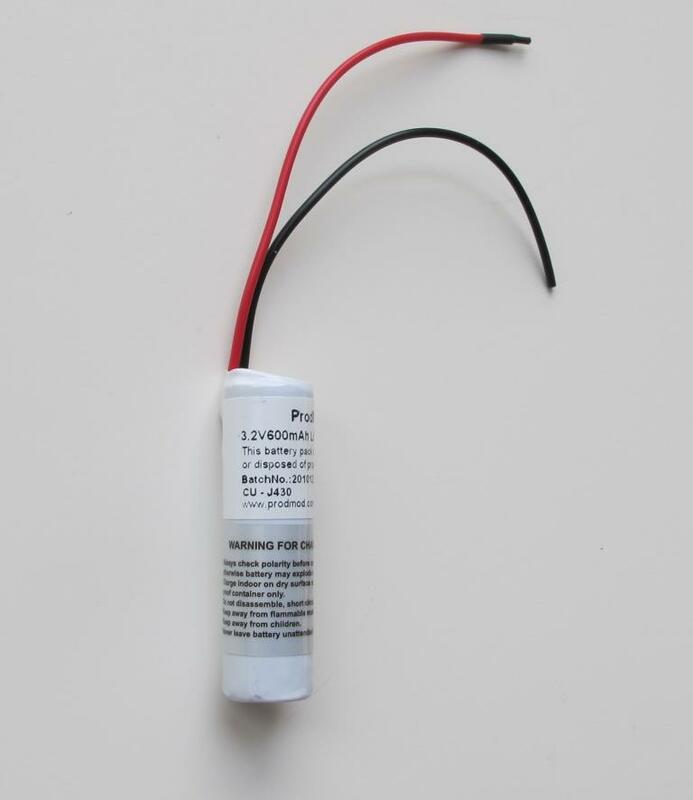 3V Rechargeable battery for hoops tubes with Inner Diameter of at least 0.814″. **Only to be used with the Quick Charger on this site. *Only to be used with the charger sold on this site. SORRY THESE SMALL BATTERIES ARE OUT OF STOCK!!! Charger is small and compact just like your cell phone charger. It accepts 100-240VAC so you can travel without a converter. Weighs only 5 oz. Easy to carry in your purse or travel bag. Only one simple wire to connect to your hoop. An easy to read indicator light tells when its charged. Charge at any time, no need to wait for the lights to die out. 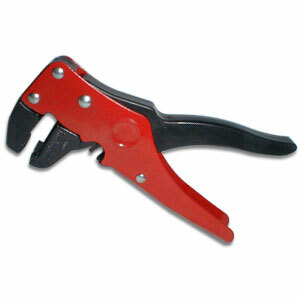 **Only to be used with the Rechargeable Battery sold on this site. 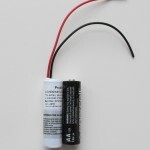 This part is included in the Rechargeable Battery Upgrade Kit. You can buy this as a replacement or for another project. 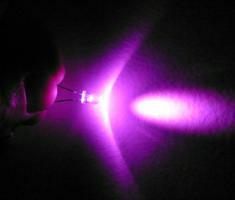 Power your LED hoop with a single AA battery, rechargeable or alkaline. It lasts about 3 to 4 hours and can be swapped out for a fresh AA at any time. Perfect for hooping off the grid, in the desert or on the road. Carry a few AA’s and you are set for hours of hooping. 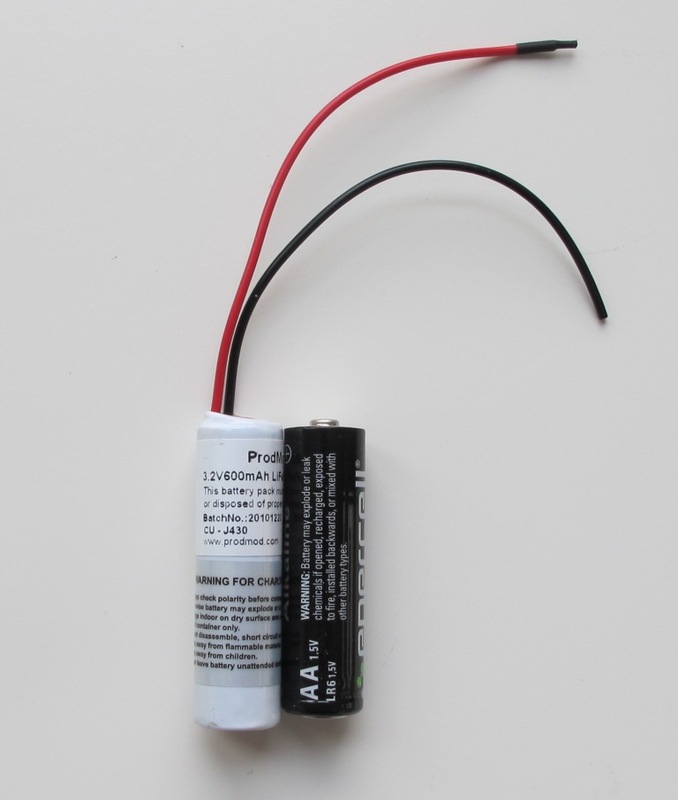 The basic kit includes one AA circuit module and one AA battery holder. You’ll need to solder the AA module to the switch, LED wires, and battery holder. Here are some replacement switches along with new sizes and functions. This is switch has large tabs with large holes that you can easily thread the wire through. 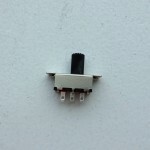 Small Slide Switch – Easier to hide, a bit harder to connect – you’ll need to solder the wire to the metal tabs. 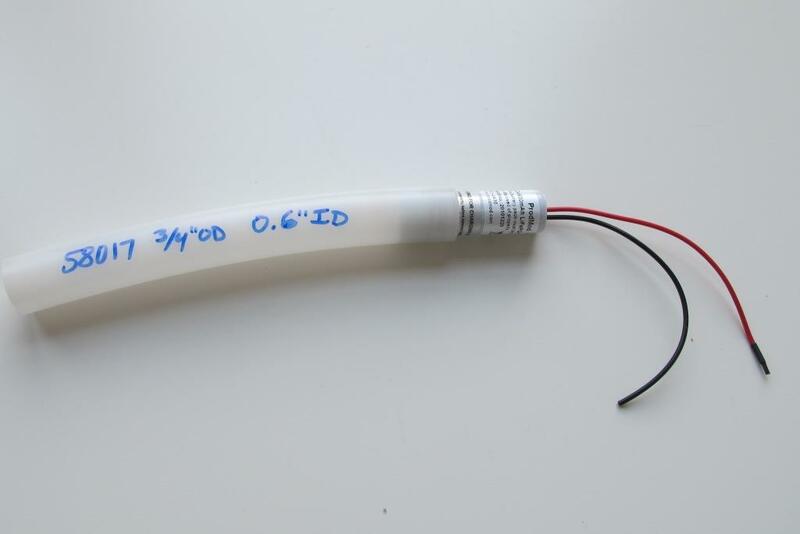 Has anyone made a hoop with a chargable and nonchargable battery source?? Is this possible? Do you just slide them both in? i was thinking about using the rechargeable batterys on the hula hoop and us it on the lights so instead of dissamssemble the light and just charge it while its still on the camera. are u able to do that ? I recently purshased an make it yourself LED hoop from this site, totally satisfied, but i cant use my colorchanging LEDs, they take all the brightness away from the blue and green lights…..do i need a resistor for the color changing LEDs? if so, what is the ohms on the color changing lights? brittany, can you explain what you mean by “take all the brightness away”? Do you mean that the other LEDs dim as the color changing LED changes colors? do the green and blue seem to flicker? or are they always just dim? This should not happen if your circuit is assembled properly. Please double check all your connections. Look for short circuits. Check that the switch is connected properly. Also be sure that all of your LEDs are connected with the right polarity. If one LED is reversed it can effect the others. where can i buy just the wire for the LEDs? I broke mine. I can’t believe I just wasted $40 because I made a mistake. I could have bought an assembled one for less than all my costs. Please reply soon, thanks! I responded to your other comment, still wondering how the wire snapped. You can buy 22AWG stereo speaker wire at radio shack, but if you just want 12 feet I can send it to you. 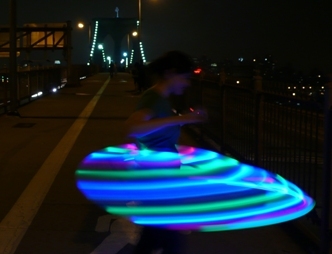 The cheapest assembled LED hoop I see for sale is $95 and is only one color. if you get color changing or multicolor its around $175. what other stuff did you buy? wire strippers should only be about $16. Also to give other readers perspective I took a look at your order, you purchased the AA module circuit which is an added expense but also gives you a feature not available in any assembled hoop on the market. You also purchased some UV LEDs which are more expensive but no where near the $400 price tag I see for a UV hoop out in the assembled hoop market. I just wanted to quantify for others that you actually could not have purchased an assembled hoop of the same design/quality for less than all your costs What you will build for yourself is going to be an amazing hoop that you can’t buy anywhere else. Yes it can be a pain to labor through a DIY project, and frustrating to hit a snag like you have, but in the end you will feel more accomplished, proud, and powerful than had you purchased an uber expensive assembled LED hoop. I’ll try to help you work through this issue as best I can. I think you can fix it in time. I know that it will be a great finished product I was just frustrated. I had found some assembled hoops for $140 which I had in mind which IF I have to buy replacement LEDs I will be close to on cost plus my time. I’ve heard lots of great reviews on your product and that’s why I chose it and I’m sure I will be happy with it and thank you for helping me through this!! Hey! I just bought some stuff to make a hoop… I bought the power supply and LEDS seperately… but I was wondering if that will come with the paired wire? Or if I need to buy it seperately? Thanks! that has the AA module, wires, and connector, and switch. You still buy the LEDs as you did. and then get tubing on your own. Okay, do I need to completely cancel my first order and just start over? Or how should I go about getting that with all of the parts. I was also trying to get it already soldered to the switch… is that still possible? Thanks for the help! 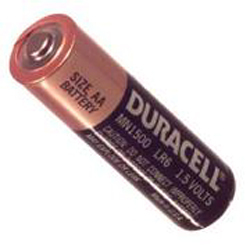 What type of battery is the rechargeable one? Just finished my LED hoop and I’m so excited!!! What a fun project and the quality is so much better than so many of the other LED hoops I’ve seen. I love it that I made it myself. Is there any way I can order a charger for an LED hoop without having to buy a whole kit? sure, I just added the quick charger to this page so you can buy a replacement. just wanted to say that i am loving the prodmod kits. 2 hours from start to finish and they look freaking awesome! 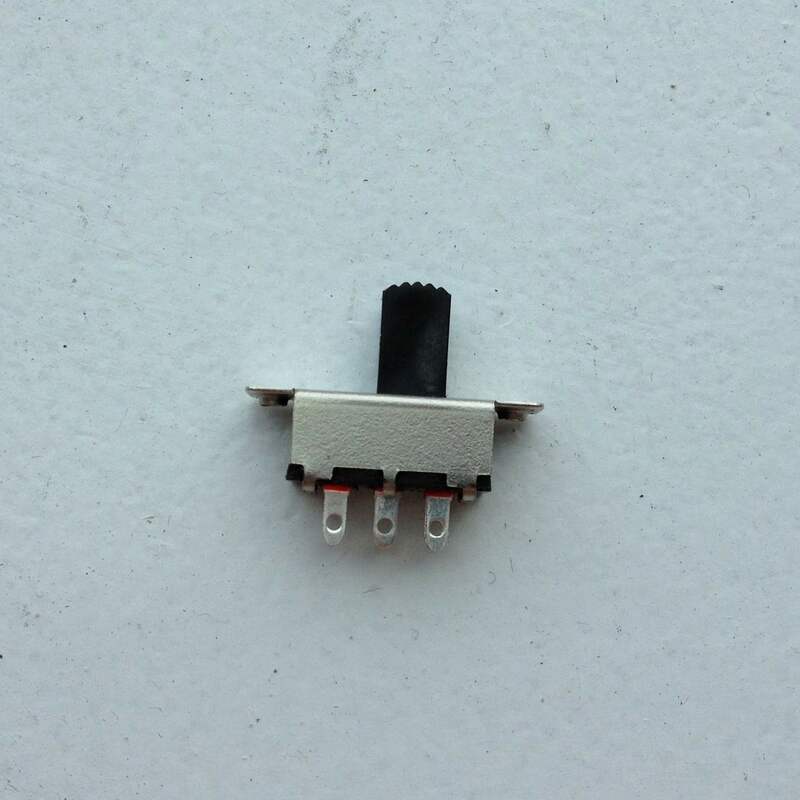 Is the DC jack 2.1mm? I was looking to purchase a replacement locally without paying so much shipping. hi, can you please tell me about how long your new SMALL rechargeable battery lasts after a full charge? much thanks!! The smaller rechargeable battery should last about 2-3 hours with a 21 LED hoop. 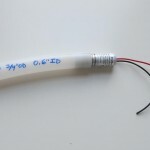 If i purchased 5/8″ inch tubing because I like smaller and thinner hoops, what kind of battery should I purchase. Also, I like the 33 inch diameter hoops, could I fit 42 leds in there? I bought the kit for the AA battery LED hoop. I needed to get another AA circuit module, and can’t seem to find it anywhere. Is there a different name for it, or could I possibly by a couple of them from you? We recently purchased the charger, the DC jack, and the switch. Everything has been great however the switch fell apart into pieces when I was assembling the hoop and had to remove the jack when trying to make sure the opening was correct which it was and we were going to do the final install. We were wondering if you would replace the DC jack? Please let us know as soon as you can I wanted to get it together and start hoopin to some tunes! Thanks in advance. Thanks a bunch! It a incredible web page!.